Pretty Smart Homes specializes in Assistive Devices; TechShop provides them with the tools for their designers to turn their visions into a reality. The world of assistive technology is full of devices that look sterile and medical. Sure, medical devices have long design circles which makes them outdated and pricy by the time they are on the market. However, makerspaces like TechShop create an opportunity for entrepreneurs to design and prototype in a fraction of the time, making design consciousness a possibility. As we always say, losing one of your senses, does not mean you have lost your sense of style. Equality means equal design, too. 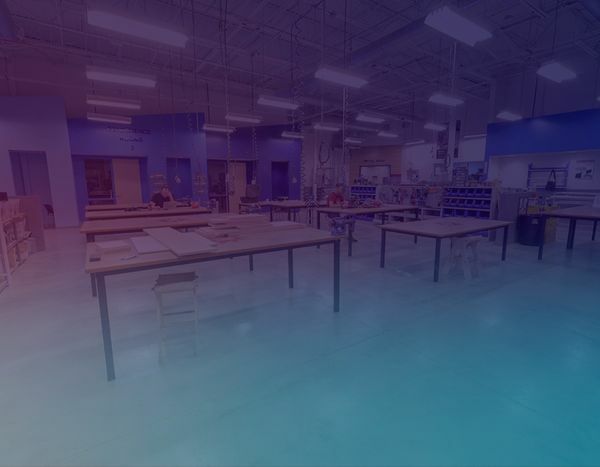 TechShop is a community-based workshop and prototyping studio on a mission to democratize access to the tools of innovation. The location is packed with cutting-edge tools, equipment, and computers loaded with design software featuring the Autodesk Design Suite. Most importantly, they offer space to make and the support and camaraderie of a community of makers. This tour will highlight Pretty Smart Home’s Assistive Devices and the tools available for designers to turn their visions into a reality. Beer and snacks will be provided and the first 50 to arrive will receive some awesome swag from Fusion 360! Design contest to be revealed during the studio tour.